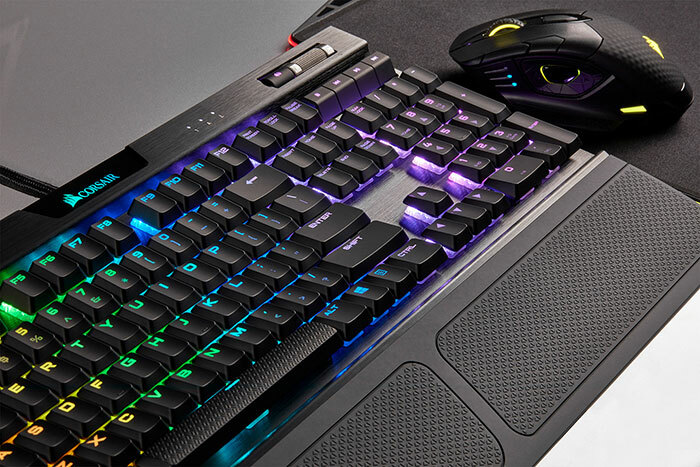 Corsair has launched two new keyboards that leverage Cherry's MX Low Profile RGB keyswitches. 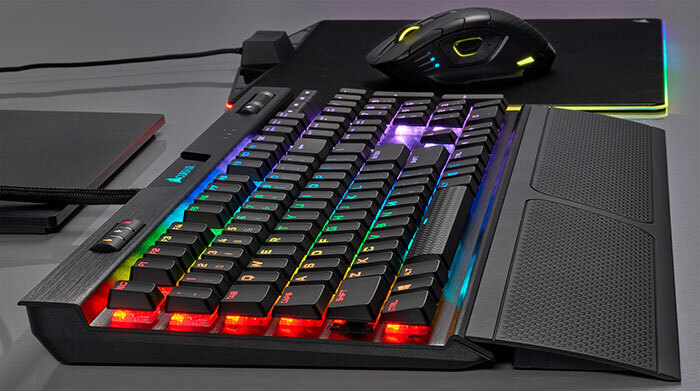 The new Corsair K70 RGB MK.2 low profile and K70 RGB MK.2 low profile RapidFire keyboards build upon the K70 RGB MK.2 heritage, retaining the characteristic mechanical precision and gaming performance but delivering a new slim design with "a more comfortable typing experience." Increased comfort stems from the hands being closer to their natural position, "placing less stress on the palm and wrists," asserts Corsair. The low profiles of these new K70 RGB MK.2 variants come thanks to Cherry's innovative new keyswitch designs. Corsair's K70 RGB MK.2 low profile keyboard is equipped with Cherry MX Low Profile Red RGB keyswitches (linear 1.2mm actuation point), and the Corsair K70 RGB MK.2 low profile RapidFire keyboard is an exclusive first product packing Cherry MX Low Profile Speed RGB keyswitches (linear, 1.0mm actuation point). With the lower profile switches the keypress actuation distance is reduced, and the physical height of the switches allows keyboard designers to reduce overall input device height without sacrificing other aspects of the build. Familiar Corsair construction and features are present here, so the new K70 models have a brushed aluminium frame - which has been redesigned to complement these new switches. The low profile chassis features dedicated multimedia controls, a knurled aluminium volume roller, a USB pass-through port for additional devices, onboard profile storage to take your settings anywhere and 100% anti-ghosting with full key rollover. Additional replacement low profile FPS and MOBA gaming keycaps for the WASD and QWERDF keys are provided - specifically textured, sculpted and colour-accented for the most often used keys in gaming. Of course Corsair has sprinkled these products with its RGB technology. Users can enjoy and benefit from full multicolour, per-key RGB backlighting. The low profile switches have been engineered with increased LED diffusion in mind and are said to enable brighter and more vivid lighting than ever before. As you would expect, a host of lighting patterns and effects, customisations, syncing, macros, and remaps can be conjured up via the Corsair iCUE software. Corsair says that the K70 RGB MK.2 low profile / RapidFire models are available immediately. Here in the UK I only found pricing for the RapidFire version, which is listed at £159.99 direct from the Corsair webshop - but at the time of writing it was out of stock. I have a keyboard based on cherry blue. I got it as it's basically a total copy (key size, shape, angle, spacing, etc) of the keyboard I had as a kid (with the addition of backlighting and macro keys) and as a result I can FINALLY touch type properly again without making endless mistakes (can I point out however that ironically it took me 5 attempts to type “without”).